Big Trouble in Little China (1986), directed by John Carpenter. 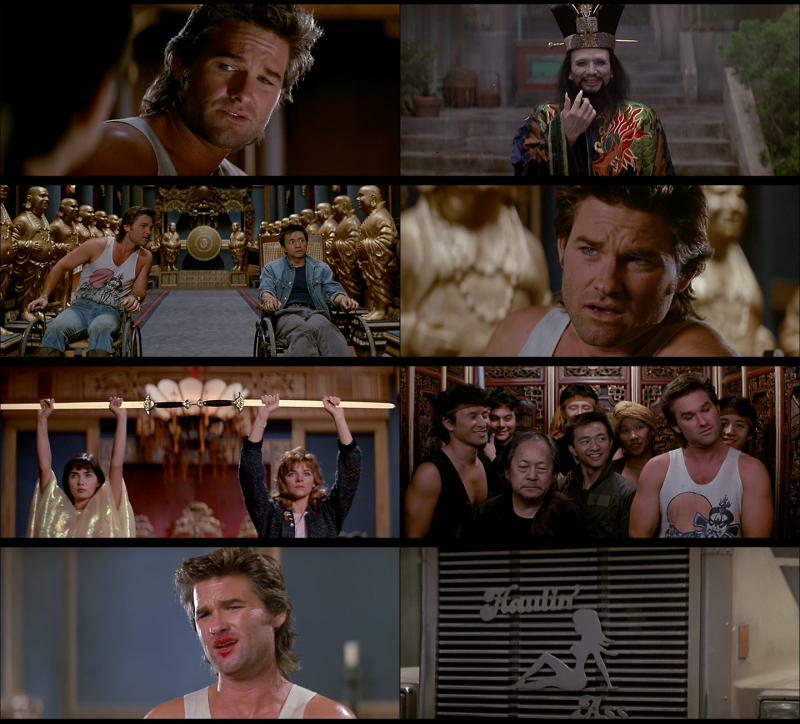 Blowhard truck driver Jack Burton (Kurt Russell), with a line of patter like the cheapest pulp fiction, stumbles into a Chinese martial arts fantasy with warring street gangs, magicians, demons and many hells. He has no idea what is going on, and having seen the film several times, neither do I, which makes me feel some camaraderie towards him. An ancient undead sorcerer, David Lo Pan (James Hong) will recover his mortality (?) if he sacrifices the correct green-eyed woman. Jack just wants his truck back. And to save the girls. It's audacious and has many funny bits. The whole thing never really comes together and I think Russell was still trying to figure out his character. Some of the scenes look like rehearsals.